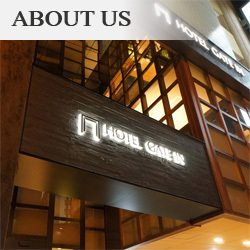 Designed by a famous interior designer, HOTEL GATE IN KAGOSHIMA offers various types of rooms. 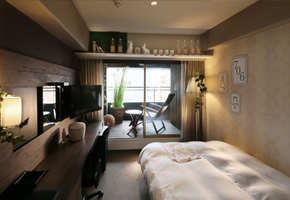 Situated on the top floor are our five luxurious premium rooms. Each room has an open aired bath in which to relax and unwind after a busy day. Also please help yourself and relax with our complimentary drinks and snacks. With feminin interior and amenities chosen by our female staff, this room is for a woman who wants to feel special. Guests are free to use a nano care steamer in the room. As of Comfort Terrace room, outdoor terrace is a private relaxing space. 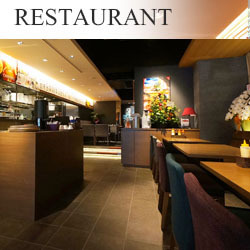 The interior is designed to help you relax and the terrace is for you to unwind after a hard day. 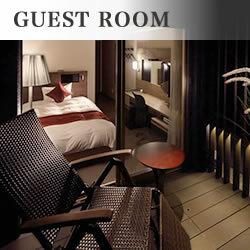 Room comes with free WIFI which is ideal for the business person. 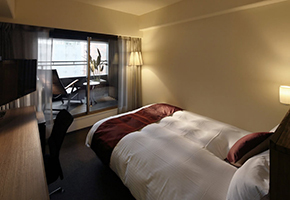 Moderate single does not have a terrace and slightly compact compared with Comfort Terrace room. This room is designed by a camping car designer. 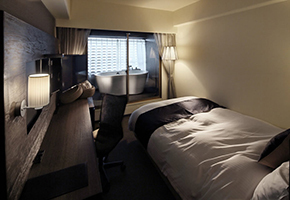 Two special rooms, situated in a top two floors, a night view of downtown Tenmonkan is over the desk. 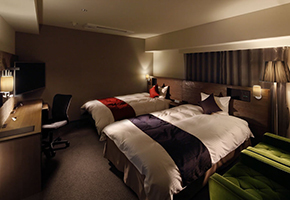 A largest room in the hotel located in a corner of top two floors with two windows. 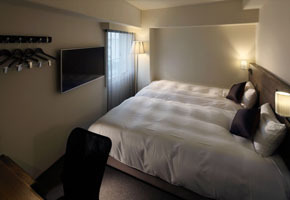 This room is also available as a triple room with three beds by adding an extra bed. 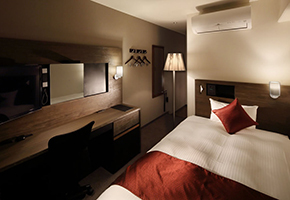 A twin room which is compact and relatively reasonable. 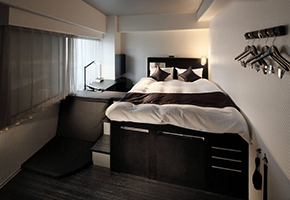 Two	semi-double	beds	are situated together to be used as an extra king bed! 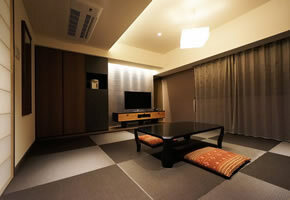 Japanese style room with relaxing atmosphere applying Ryukyu Tatami (a traditional Japanese style floor). 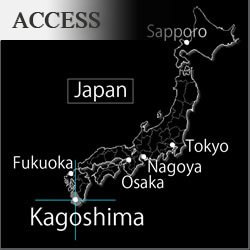 It is popular among couples and also families with small child. Bed size : No beds. Four sets of bedding (Futon) prepared in the closet.